1.6 How to Apply for TS Animal Husbandry Recruitment 2017? Telangana Fisheries Department Recruitment 2017 Notification is going to release soon. Apply online for 205 Jobs in Fisheries Department Telangana at www.tspsc.gov.in. Further details like Animal Husbandry Telangana Vacancy, Eligibility, TS Fisheries Dept Exam Date, etc. are mentioned in detail below. 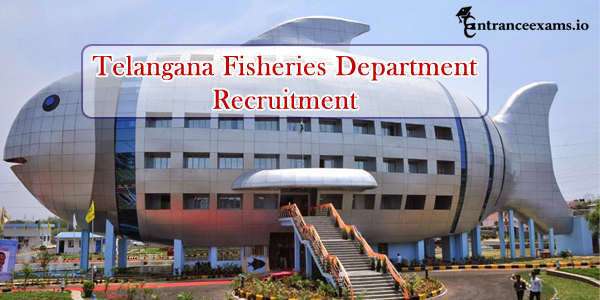 The Animal Husbandry and Fisheries Department of Telangana has decided to conduct a recruitment drive for filling the vacancies in the Fisheries Department. Hence TSPSC has released this Telangana Fisheries Department Recruitment 2017 through an editorial in a daily newspaper. Hence the candidates who wish to work with Telangana Government must utilize this opportunity without any hesitation. All the Interested and Eligible candidates can apply for these 205 Jobs in Fisheries Department Telangana through the official website, i.e., www.tspsc.gov.in. Here on this page, we have given the details of post wise TSPSC AHD Vacancy, required qualifications, Application Process, etc. of Fisheries Department Telangana Recruitment 2017. Candidates applying for Telangana Fisheries Department Recruitment 2017 should satisfy the eligibility conditions mentioned in the official notification. Only those candidates who were found eligible for these 205 Fisheries Jobs in Telangana must apply before the last date. The age limit and educational qualifications required for this Telangana Animal Husbandry & Fisheries Recruitment 2017 are as follows. The age limit of the candidates applying for Fisheries Department Telangana Recruitment 2017 is as follows. However, age relaxations are applicable for reserved categories (SC/ ST/ OBC/ PWD) as per the rules of the Telangana Government. The educational qualification for these 205 Telangana Fisheries Department Jobs varies for every post. Here I have given the qualification details for each post below. For Fisheries Officier: Candidates must have passed BFSC/ M.Sc Zoology (Fisheries Specialization)/ FZC with minimum qualifying marks from a recognized institution or university. Fisheries Assistants must be completed in polytechnic candidates are first priority/FZC qualification with the minimum percentage of marks. For Fisheries candidates must be qualified in 7th class with 3-month IFTC Training candidates are eligible. For Data Entry Operator candidates must be qualified in Degree/knowledge in computer, computer typing in Telugu, and English. All the postulants of Telangana AHD Notification 2017 must be aware of some details like Selection procedure, pay scale, application fee, etc. before applying. So, for your convenience, I have given all these details in the below section. The officials of Telangana PSC will select all the candidates of TS Fisheries Recruitment 2017 based on their performance in the following rounds. Aspirants of TS Fisheries Assistant Recruitment 2017 need to pay the application fee as per your category in online mode. Visit the official website, i.e., www.tspsc.gov.in for more details about category wise fee details. All the selected candidates will get the best pay scale and grade pay with other allowances as per the norms of the Telangana Fisheries Department. The pay scale details for each post is as under. FFO (Fisheries Officier): Rs. 25000/- pm. Fisheries Assistants: Rs. 18000/- pm. Data Entry Operator: Rs. 15000/- pm. After the completion of the application process, Every contender will begin their search towards TS Fisheries Dept Syllabus, Exam Pattern and other preparation material related to this recruitment. To made your preparation easier and comfortable, the authorities have provided TSPSC Syllabus Exam Pattern 2017 at authority web page. You can also get the Syllabus links from our site. So, with the help of information provided here, contenders can immediately start your preparation. How to Apply for TS Animal Husbandry Recruitment 2017? Search for Telangana Fisheries Dept Notification 2017 link from the list. Now click on the Apply online link of TSPSC Fisheries Assistant Recruitment 2017. If you found this article about Telangana Fisheries Department Recruitment 2017 was helpful for you, then do share with your friends. Also, Stay tuned with our entranceexams.io site for more details about all Entrance Exams, State Govt, and Central Government Jobs in India.